Working as a part of the Sundance Film Festival events team for four Festivals has been an absolute privilege for me! 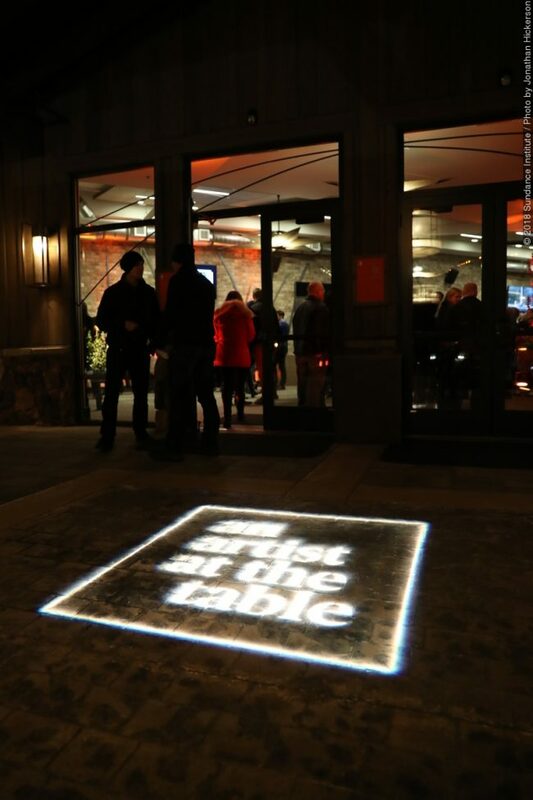 And this year, I was lucky to work on the planning and logistics for the Sundance Institute’s signature annual fundraiser, An Artist at the Table. 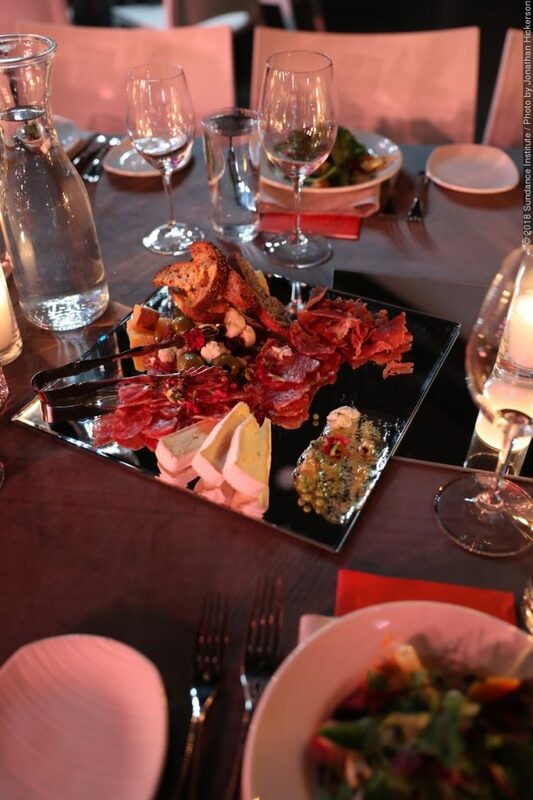 The event takes place on opening night of the Festival and starts with a screening of a world premiere film, followed by dinner and a program – and for dinner, the guests are seated with a Sundance artist at every table. 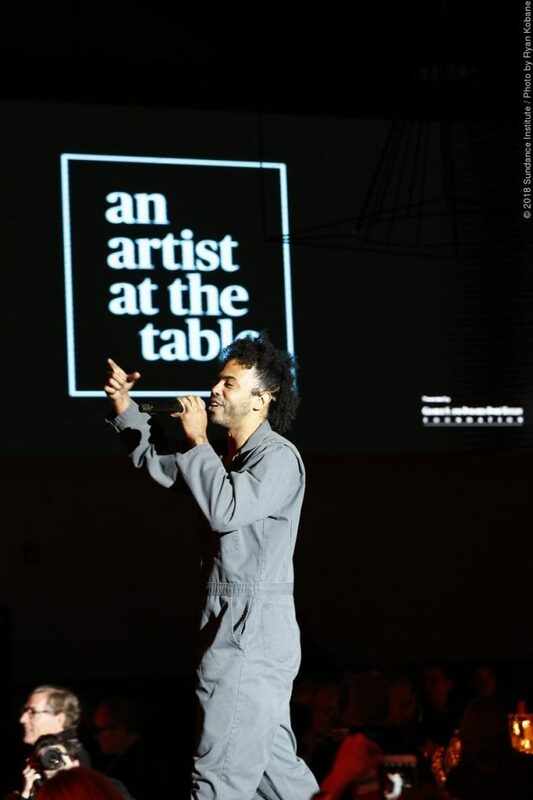 With almost 500 guests in attendance, the event began with a screening of Blindspotting starring Rafael Casal and Daveed Diggs at the Eccles Theatre in Park City and then the program took place at the DeJoria Center in Kamas, UT. As a surprise to the guests, Rafael and Daveed opened the program with a spoken word performance right at the start of dinner. 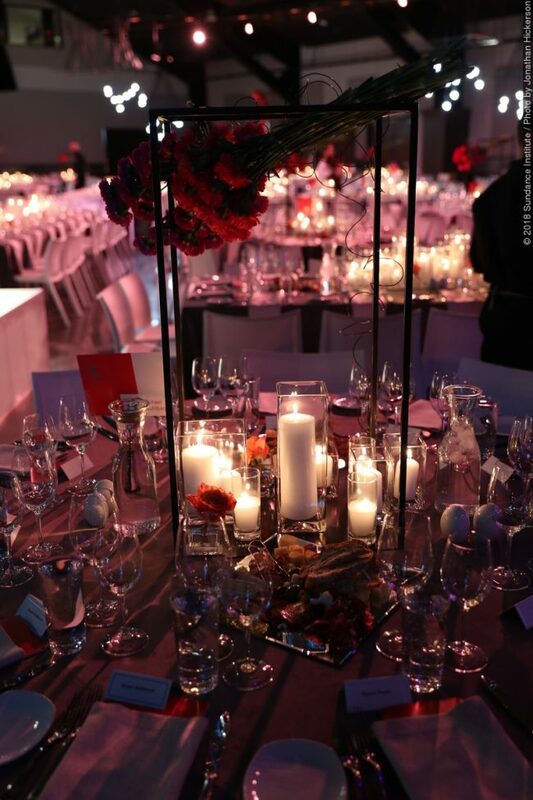 Throughout the evening, String Theory (headed by Sundance Labs alum Luke Rothschild) entertained the guests. And then, for a real treat, the evening’s program consisted of five artists – Billy Luther, Maggie Gyllenhaal, Cherry Jones, Ritesh Batra, and Octavia Spencer – speaking candidly about what Sundance has meant to them professionally and personally. 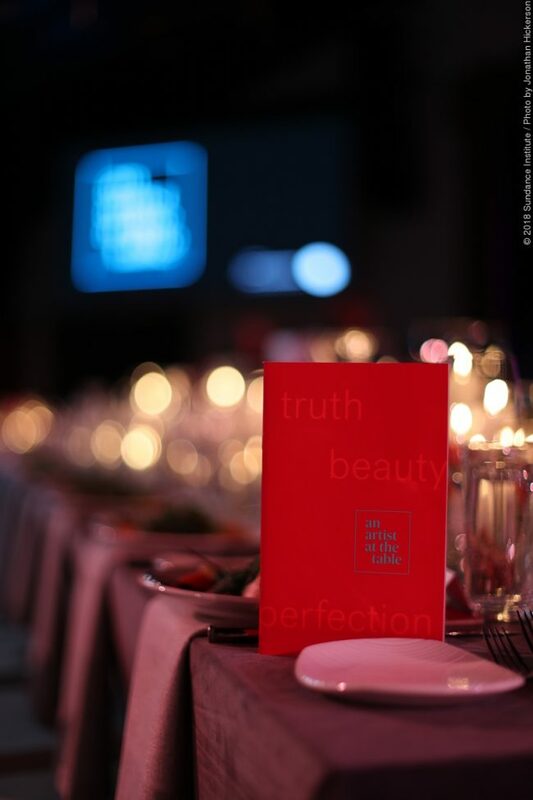 The 2018 event raised more money than ever in nine years of the event for the Sundance Institute and their year-round programs that support independent voices. It was a total dream, start to finish!